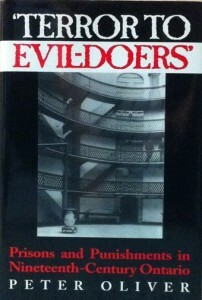 Over the years our books have won many prestigious awards. 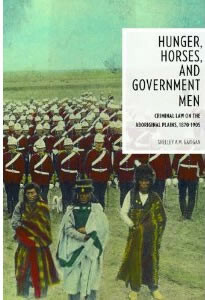 Most recently, R. Blake Brown’s Arming and Disarming: A History of Gun Control in Canada, won the Canadian Law and Society Association Book Prize and Shelley Gavigan’s Hunger, Horses and Government Men: Criminal Law on the Aboriginal Plains, 1870-1905, was awarded in 2013 an honourable mention for the MacDonald prize, the most prestigious award of the Canadian Historical Association. 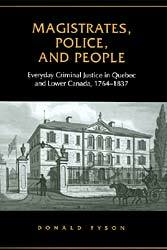 It also won the 2013 Clio Prize for the Prairie region from the Canadian Historical Association and an honourable mention for the 2103 Canadian Law and Society Association Book Prize. 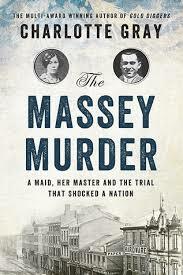 Awarded annually by the Canadian Historical Association for the best book in any field of Canadian history. 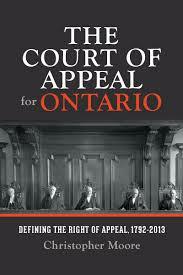 The best book on any aspect of Ontario history in the previous three years. 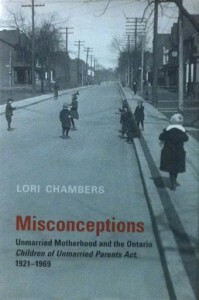 The best book on regional history in Ontario in the previous three years. 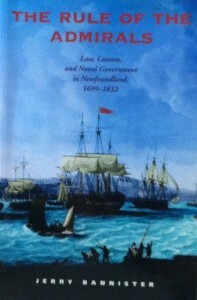 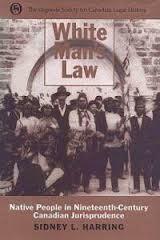 The best book on the province’s multi-cultural history. 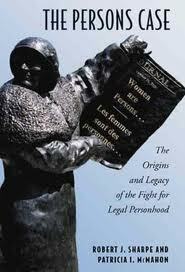 Best book in women’s history in the preceding three years. 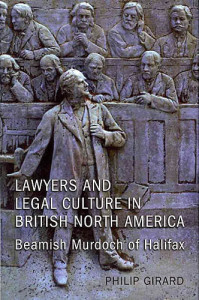 J. Willard Hurst Prize of the Law and Society Association, for the best book in English on socio-legal history for any country. 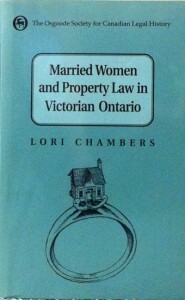 Given annually by the Champlain Society for writing on Ontario history. 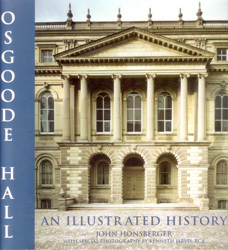 For distinguished writing on Canada and/or Canada’s place in the world. 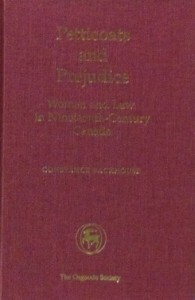 Given each year for the best English language book supported by the Aid to Scholarly Publications Programme of the Canadian Federation for the Humanities and Social Sciences. 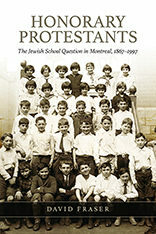 Priz Lionel Groulx of the Institut d’histoire de l’Ámerique française, awarded for the best book on the history of French America. 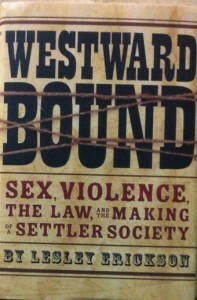 For the Best Non-Fiction book. 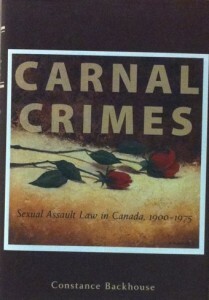 For the best book on Canadian public policy. 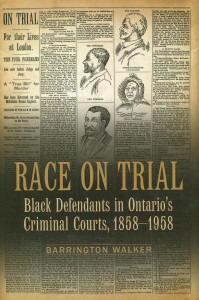 The Mundell Medal was awarded to another Osgoode Society author, Robert J. Sharpe, in 2009. 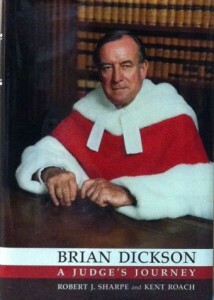 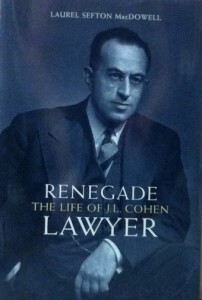 Among the books for which Mr Justice Sharpe was given the award are three Osgoode Society books: The Last Day, The Last Hour: The Currie Libel Trial; Brian Dickson: A Judge’s Journey (with Kent Roach); and The Persons Case: The Origins and Legacy of the Fight for Legal Personhood (with Patricia McMahon). 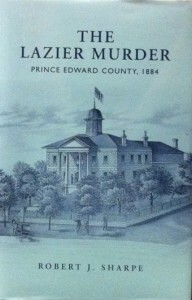 Since winning the award Justice Sharpe has also published The Lazier Murder: Prince Edward County, 1884 (Osgoode Society, 2011). 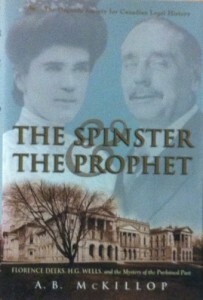 One of our most prolific authors, Constance Backhouse, was named to the Order of Ontario in 2010. 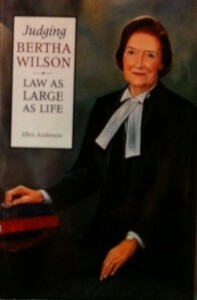 Professor Backhouse was honoured for her work as scholar, educator, and advocate for womens’ rights. 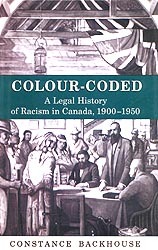 That work includes four Osgoode Society books: Carnal Crimes: Sexual Assault Law in Canada, 1900-1975 (2008); The Heiress versus the Establishment: Mrs. Campbell’s Campaign for Legal Justice(2004, with Nancy Backhouse); Colour-Coded: A Legal History of Racism in Canada, 1900 – 1950 (1999); and Petticoats and Prejudice: Women and Law in Nineteenth-Century Canada (1991).